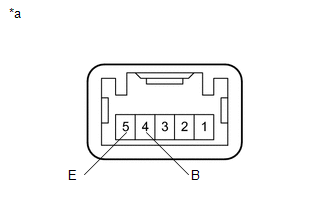 (a) Disengage the 2 claws to remove the blind spot monitor main switch (warning canceling switch assembly). 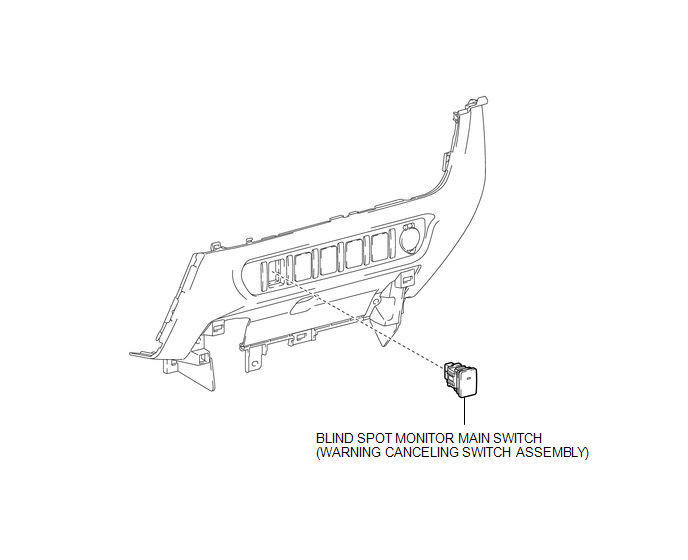 If the result is not as specified, replace the blind spot monitor main switch (warning canceling switch assembly). 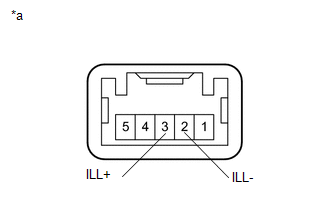 (1) Apply battery voltage to the blind spot monitor main switch (warning canceling switch assembly) and check that the switch illuminates. (c) Check that the switch indicator operates. 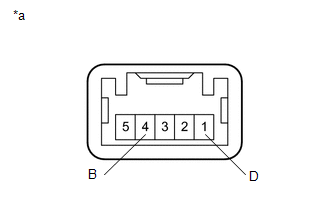 (1) Apply battery voltage to the blind spot monitor main switch (warning canceling switch assembly) and check that the switch indicator operates. 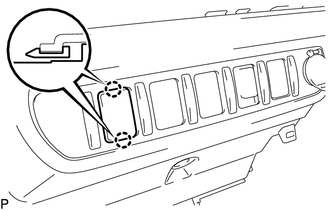 (a) Engage the 2 claws to install the blind spot monitor main switch (warning cancel switch assembly).